Easy access and quality lakefront condo living in this 3BDR/2BA condo at Lighthouse Pointe. No Steps, walk right in from parking and enjoy this great floor plan. Relax on the large screened deck with concrete floors and great views of Lake of the Ozarks. From the deck you can see your 12X32 boat slip sitting in calm, deep water. If you look to the right you can even see Bagnell Dam! Seller says they enjoy the fact that this is the quiet part of the lake and they are so close to the strip that the grandkids just love. Lighthouse Point is also super easy to get to from St. Louis and Hwy 54. Get to your condo without fighting any of the traffic! With restricted rentals, an entrance gate, elevators, heated pool, hot tub and playground, come see why this luxury condo complex is so attractive! Seller is offering to prepay 2 years of the construction assessment equivalent to $6,139.00 at closing. Most of the furnishings are included. 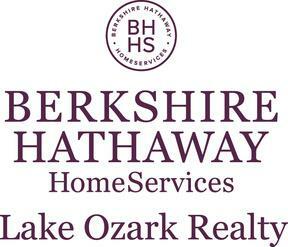 I am interested in 68 Lighthouse Rd Unit 334, Lake Ozark, MO 65049 (Listing ID # 3512904).